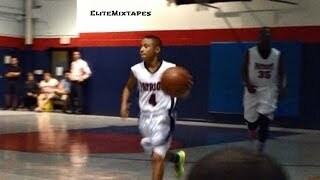 Julian Newman is the Most Talented 12-Year-Old Athlete in the World! 12-year-old Julian Newman plays varsity high school basketball at Downey Christian in Orlando, Florida. Here are highlights from the first month of his 6th grade season. Julian leads the country in assists with 10.5 per game. He also averaged 17.2 points & 3.4 steals per game. Julian is a Top 5 finalist for 2013 Sports Illustrated Kid of the Year. As seen on ESPN Sportscenter 12-year-old Julian Newman plays varsity high school basketball at Downey Christian in Orlando, Florida. Repeat Julian Newman is the Most Talented 12-Year-Old Athlete in the World! Free Download Julian Newman is the Most Talented 12-Year-Old Athlete in the World!